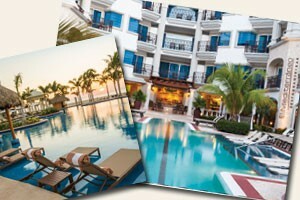 Agents can now win a free three-night stay, airfare included, with Playa Hotels & Resorts. Every booking made and registered into AgentCASH between March 1-31 will be an entry to win. An Eastern Canada agent will win the following: June 6-9, flights on WestJet from Toronto, airport transfers, three night’s accommodation all-inclusive plan, single occupancy, escorted by Amanda Morris (Playa Hotels & Resorts BDM for Eastern Canada). A Western Canada agent will win the following: June 2-5, flights on WestJet from Calgary, airport transfers, three night’s accommodation all-inclusive plan, single occupancy, escorted by Freddie Marsh (Playa Hotels & Resorts BDM for Western Canada).